After a disappointing 121-106 loss against Jiangsu Hualan in the last round, Beijing Sport bounced back with a win over 12th ranked Jianghuai in the 13th round of the Chinese National Basketball League (NBL) on Sunday. 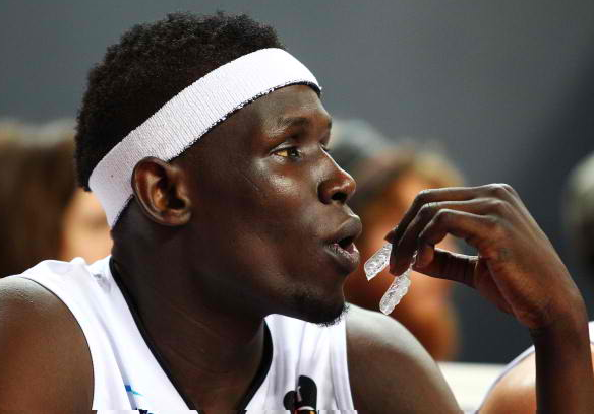 South Sudanese center Ater Majok carried Beijing with an astonishing double-double of a game-high 35 points and 20 rebounds to lead his team to a 117-102 victory over visiting Jianghuai. The 29-year-old 6-foot-10 big man went 13 of 15 from the floor and made all of his nine free throws. American forward Emanuel Jones contributed 34 points and 7 boards.Local player Han Qiaowen added 27 points and Zhangxhao Long had 14 points for the winners, who outscored the opposing team with a combined 100 points from its starters compared to Jianghuai's 38-point starter output. With the victory, Beijing improves to 8 wins and 5 losses. They are currently tied with Guizhou and Hualan for the third spot in the 12-squad team standings. Jianghuai on the other hand suffered its 10th loss in 13 games. Beijing also won the battle for the rebounds, as they outrebounded the opposing team 48-39, including a 35-23 advantage in the defensive rebounds, which allowed the victor to have more second-chance points. The winners also registered an impressive 21 for 27 from the free throw line while Jianghuai was limited to just 13 visits to the charity line, where they made just 8. The game entered the second half with both teams scoring 53 points each. Beijing staged a 30-11 third quarter outburst that gave them full control as they reached the final 12 minutes of the ball game. In the fourth quarter, Jianghuai tried to fight back. However, with an established big lead, the 38-34 final period run made by the losing team was not enough to steal the victory. Chinese forward Jinshuai Zhai finished the game with 26 points for Jianghuai.